I returned from a two week England vacation yesterday and I'll post a few lovely photos from it tomorrow or Friday. If you don't want to wait that long, you can check out my post on the League blog where I posted about my trip to the Harry Potter studios. 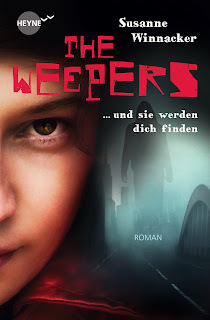 The German cover of The Other Life! I think my German pub Heyne/Random House captured the mood of the book very well. So deliciously creepy! It comes out in January/February 2013 in Germany.